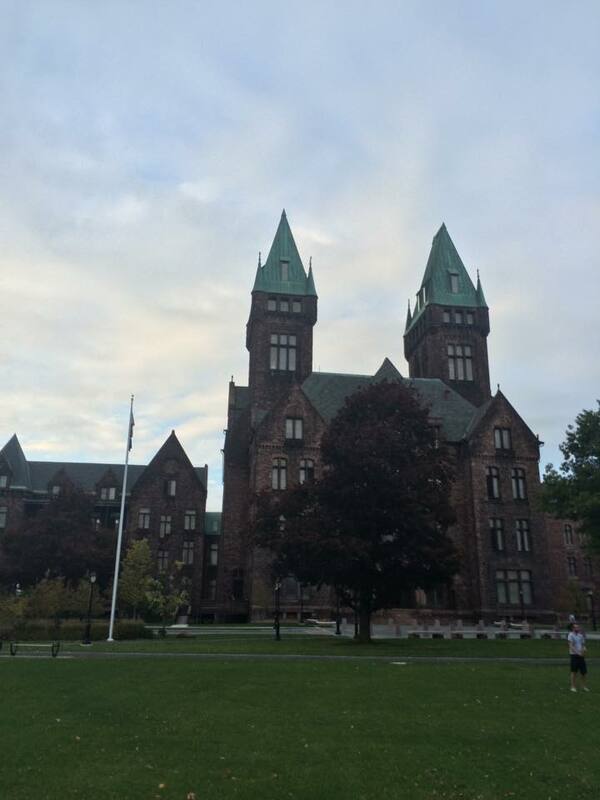 Each Monday from May until November, a group of Canisius Alumni and friends meet up to play a riveting game of Ultimate Frisbee where the score is perpetually 0-0, and last point ends the game in a tie. For the past two seasons, we have met each and every Monday in Delaware Park near the public golf course, pee-wee soccer players and couch to 5k runners. In the spirit of October and Fall, we switched it up this week and moved over the H.H Richardson, as we spotted a large open field via google satellite imagery. Little did I know that the Richardson complex has absolutely beautifully well-kept landscaping. The field we played on was large, open and not full of divots made by tiny soccer players. There wasn’t massive holes where dogs had dug into, or where golf players missed their mark. Instead, we had a smooth field that was relatively well-drained after the rain from the morning. Aside from the field, the actual park is very well put together, with walking trails that wind around the buildings and greenery. These are well-lit with a substantial amount of light posts, with plastic bag offerings for dog walkers, and trash cans to dispose things. We saw many dog walkers taking advantage of this hidden island of peacefulness inside the city. The Richardson Complex is showing signs of life. 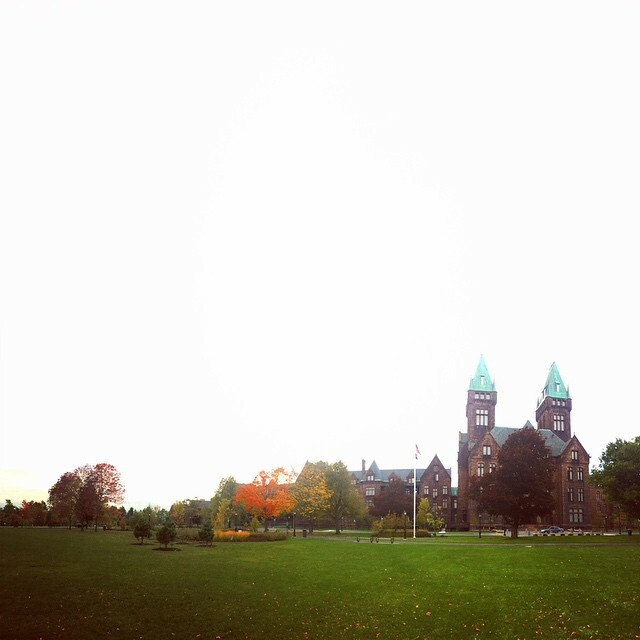 Plans are in the works to revitalize this amazing campus. Boutique hotels, a conference and event center, and shops are all in the works. Situated directly adjacent to Buffalo State College and the Elmwood Village, I am very excited to see this property come back to life.